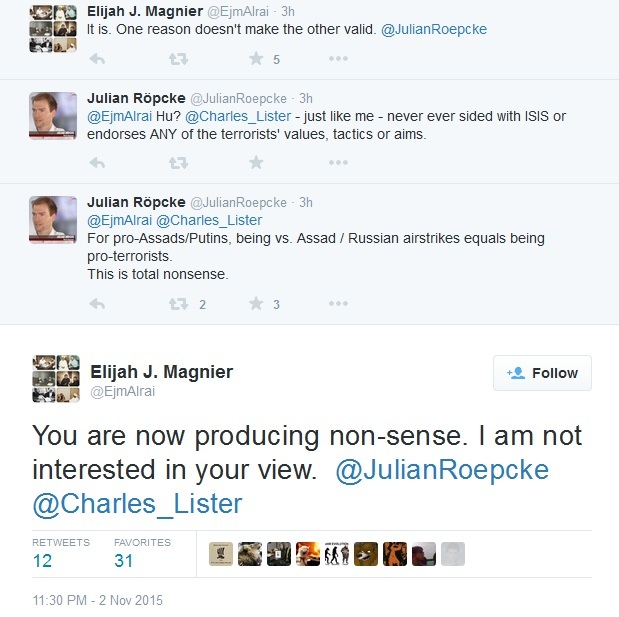 The following tweets by Elijah Magnier expose mainstream propaganda regarding Al Qaeda in Syria. Al Qaeda and it’s many mutations and divisions are deliberately obfuscated as “moderate rebels”. 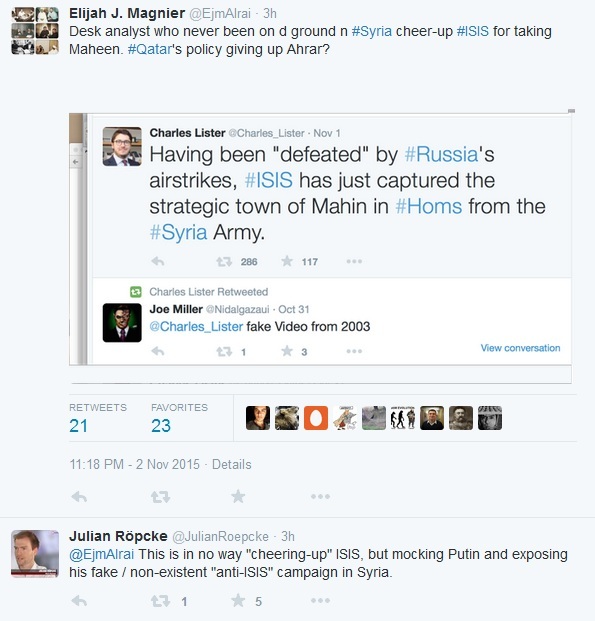 There is nearly a triumphalist glee in celebrating a token victory by ISIS in Syria. 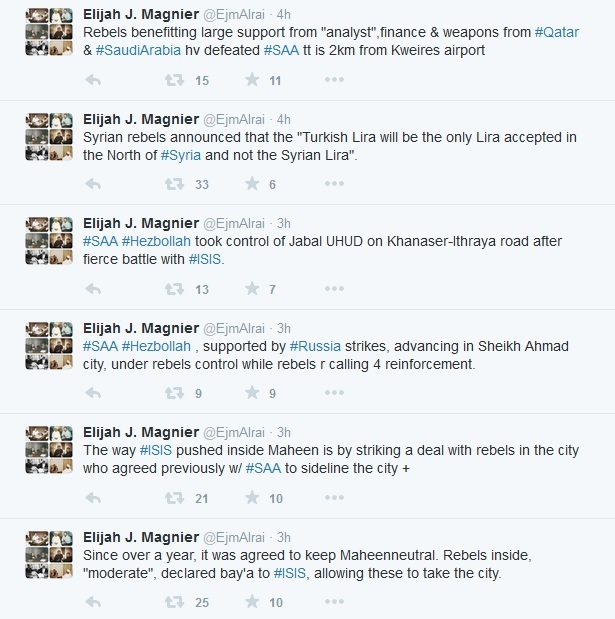 Its as if ISIS takeover of Maheen – a Syrian town in Homs should be a matter of celebration in the mainstream press. Elijah bursts that bubble by highlighting that Maheen was in the hands of the so-called “moderate rebels” who conveniently went over to ISIS.